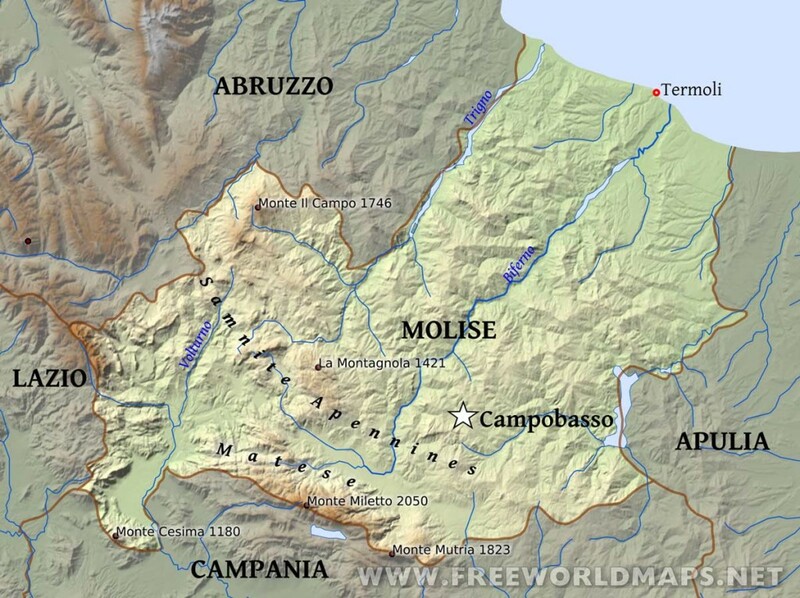 Gentler, less rugged and somewhat poorer than Abruzzo, Molise has more in common with southern than central Italy. Much of Molise still seems to be struggling out of its past, its towns and villages victims of either economic neglect or hurried modern development. The cities, Isernia and Campobasso, are large and bland, rebuilt after earthquakes and fringed with factories erected by northern money that has been lured here by the low price of land and labour. But Molise has its compensations. Just as the twentieth-century industrial tycoons have invaded Molise, scattering it with formula-built Anytowns, so, over 2000 years ago, the Romans charged into the region, forcing the native Italic Samnite tribes to leave their small villages and live in equally formula-built settlements. Molise still has a scattering of low-key Roman ruins – most interestingly at Saepinum, Italy’s most complete example of a Roman provincial town and a site that’s still well off the beaten tourist track. Wandering among the ruins, and looking out over the green fields to the mountains beyond, you get some inkling of what it must have been like for Italy’s first Grand Tourists. There are some interesting contradictions: traditions that would have been ancient two hundred years ago still persist. In many a new apartment block, Benetton-clad girls will be making lace alongside their grandmothers, and in the village of Ururi, settled by Albanian refugees in the fourteenth century, there’s an annual chariot race, as barbaric as anything the Romans dreamed up. Finally there’s the sheer physical aspect of the place. Forty percent of Molise is covered by mountains, and although they are less dramatic than Abruzzo’s there are masses of possibilities for hiking. A must is the trail up Monte La Gallinola in the Matese mountains, from where on a clear day the whole of the peninsula, from the Bay of Naples to the Adriatic, stretches out before you.